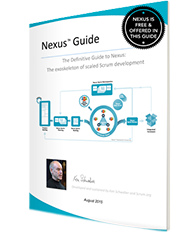 Nexus is a framework that drives to the heart of scaling by minimizing cross-team dependencies and integration issues. Do you have feedback or ideas on how to improve the Nexus Guide? Let us know. How Do I Implement Nexus?